It's a new year and we're already rushing out the gate with new features! The first is a new, reimagined gifting system! Rather than rehash the existing gift system, we've combined the excitement of giving gifts with the awesome power of PRIZE CODES! With this new feature, accessible from the Varium shop, you will be able to create your very own prize code! 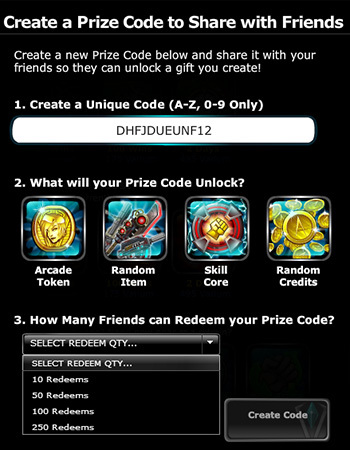 Choose your code, choose your prize time, choose your quantity, and share the code in game and on social networks! All your generated codes, including the number of redemptions remaining will be stored within this interface for quick reference. NOTE: I should hope it goes without saying, but using inappropriate language in your codes will result in moderator action. Pit your generosity against your fellow Duelists with competative daily and all-time leaderboards. These boards will track the number of code redemptions so you'll need to be craft to organize your buddies, fans, and followers to claim as many codes as possible. You'll also be rewarded with daily and all-time achievements! 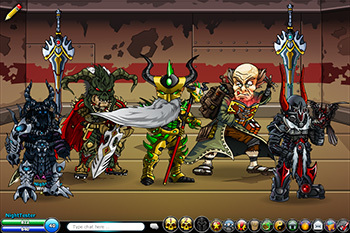 For the longest time, the Fame system in EpicDuel was completely external from the game client. This made the system vulnerable to exploits and very difficult to manage. 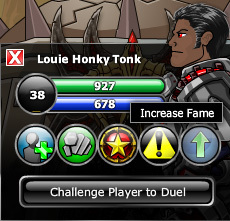 Now, we've finally incorporated fame into the game client which will allow you to fame your friends and foes in and out of battle! Click your friend, and click the arrow! Easy! After you receive fame, you will receive a toast informing you that you were famed by another player. Be sure to fame them back and say, "Thanks!" Please don't beg for fame, though, as you can be reported for griefing/spamming. Please fame responsibly. 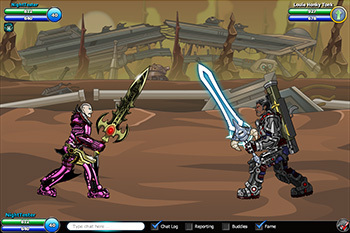 With this long-awaited revamp, we hope that this feature can become a more fair and engaging part of EpicDuel. Guest Writer Trans has crafted several new daily mission chains! Sharpen your blades and load your bazookas as you come to the aid of the denizens of Delta V for great rewards! Be sure to check the Daily Missions tab to see the currently available mission. 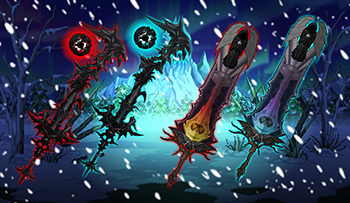 Visit The Endless' shop in Frysteland (assuming you've already unlocked it) to pick up some new seasonal, limited rares designed by Reki, T0mcat, and Revontheus! If you've already got swords aplenty, then decorate your home with new interactive bobble heads based on your favorite EpicDuel NPCs! 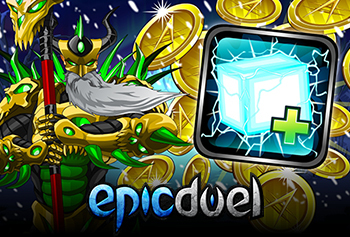 Here's to a grand new year of sharing and dueling in EpicDuel!